You’ll get an entry into the lucky draw for each newsletter that you subscribe to. The Citizen’s standard terms and conditions apply. Subscribe to any of The Citizen’s newsletters to enter. Participants will receive an entry per newsletter subscribed to. 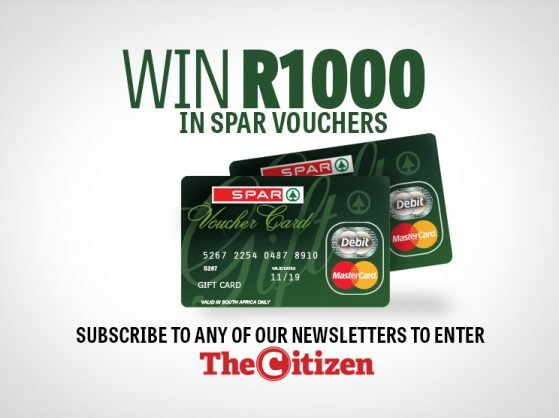 The prize is R1 000 in Spar vouchers.